Removing book about lesbian moms sets bad precedent, they say. 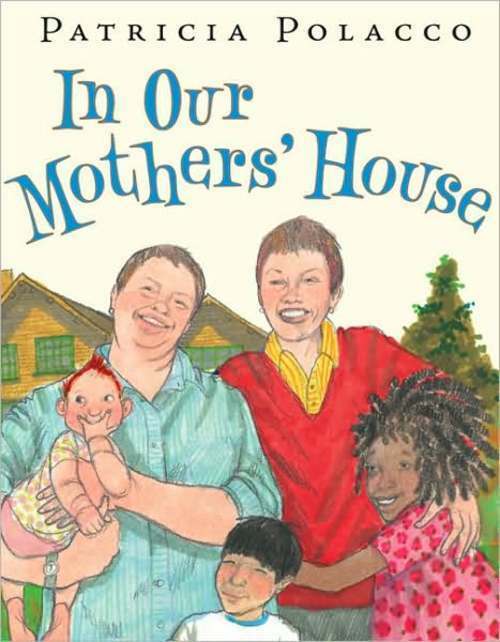 Controversy over a book describing a household with lesbian mothers has prompted the Davis School District to ask school librarians to name other titles that parents might find objectionable, according to one district librarian. In Our Mothers' House by Patricia Polacco was recently removed from shelves of elementary school libraries in Davis County after a group of parents objected to the story's content. The book remains accessible but only if a student presents a permission slip from a parent to check out the book. DaNae Leu, a media specialist at Snow Horse Elementary School in Kaysville, said the district is taking a proactive stance on pulling other books in the wake of the controversy. Also marked for removal is And Tango Makes Three, the story of a pair of male penguins who sit on an egg at a zoo until it hatches; and Totally Joe, a book for ages 10 and up about a teenager who is gay. She said librarians are being asked to supply names of books that contain gay and lesbian characters. Many librarians are frustrated about the situation, she said, but are nervous about speaking out because they fear reprisals. "I've never seen this happen. It's almost like they want to preemptively pull books that might disturb somebody," she said. "I feel like Joe McCarthy is asking me to name names," she said of discussions in which administrators have asked for book names. Calls to district spokesman Chris Williams and Belinda Kuck, the district's library media supervisor, were not immediately returned on Friday. Leu said some librarians believe the decision to remove In Our Mothers' House sets a precedent of letting parents call the shots on what material should be allowed in school libraries. "I don't want to disparage my district. I think they were trying to protect themselves against state law," said Leu. "Ethically, I don't feel right about it. I feel like the book is age-appropriate. I know it's available upon asking, but it's also available under a stigma." "I feel that history is not going to look favorably on this. In 20 years, we're going to look and think 'How could we ever have thought that?'" she said of limiting access to the book. The decision to keep In Our Mothers' House behind the counter in libraries followed an April 30 meeting during which a seven-member committee determined the book didn't align with district curriculum standards. The committee, comprised of teachers, administrators and parents, voted 6-1 to keep the book off shelves, with Bountiful High librarian Trudena Fager casting the dissenting vote. "State law says schools can't have anything in the curriculum that advocates homosexuality,"Williams said earlier this week. "That is why it is now behind the counter." A school committee decided to move the title  recommended for students in kindergarten through second grade  to a section of the library for grades 3 to 6, after determining it was better suited for older readers, Williams said. That didn't appease parents of the kindergarten student, who gathered 25 signatures on a petition to move the discussion to the district level. The district committee voted in April to place the book behind the counter. Parents who signed the petition were notified of the move last month. Leu said the book controversy has prompted the district to take a proactive stance on pulling other books that parents might find objectionable. 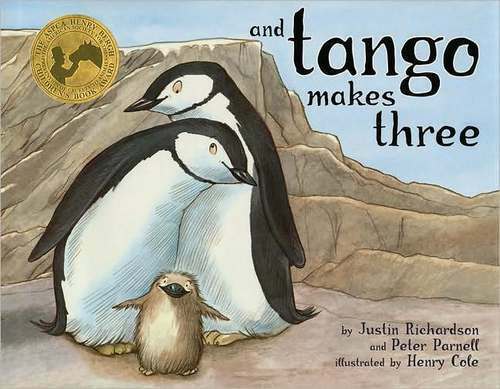 Also marked for removal is And Tango Makes Three, the story of a pair of male penguins who sit on an egg at a zoo until it hatches; and Totally Joe, a book for ages 10 and up about a teenager who is gay. 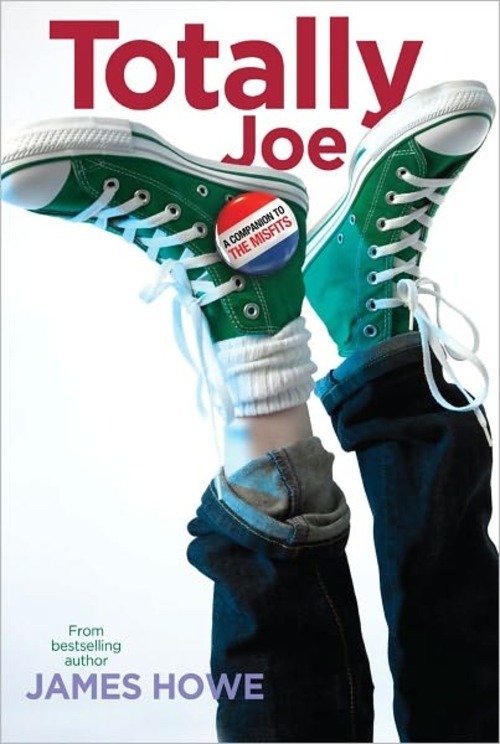 Leu called Totally Joe one of the best books written on bullying. She said teen suicide is a concern in Utah and it's important to provide material in schools to which all students can relate. "There is a high incidence among teens who commit suicide who are gay," Leu said. "Having some understanding, having some empathy is not a bad thing. None of these books are going to turn anybody gay." The controversy in Davis County comes as Utah prepares to celebrate the LGBT community at Salt Lake City's annual Pride Festival this weekend. How to help school districts better serve the LGBT population will be a topic of discussion at festival events, where members of Parents, Families & Friends of Lesbians and Gays (PFLAG) will solicit volunteers to mobilize school outreach efforts next year, said Kathy Godwin, PFLAG's Mountain West director. Ninety-percent of LGBT youth are bullied at some point during their school years, Godwin said, citing research published in 2011 by the American Academy of Child and Adolescent Psychiatry. She said PFLAG wants to work to end bullying at schools and that ensuring libraries contain materials about Utah's diverse families is essential to that effort. "When you take books off the shelf, you are denying information. These are real families and they are in their school districts," she said, noting LGBT families and kids should feel safe and included at school. Leu said she would like clarity from lawmakers on why school library books fall under the umbrella of curriculum, when it's equally important to provide books for recreational reading. "I would like the state law to specifically state that library books are not exclusively curriculum," she said. "To me, it makes sense that libraries should have some autonomy on collecting books that meet the needs of the students." Leu provided a letter expressing her objections to the removal of In Our Mothers' House to committee members who decided to remove the book earlier this year. "It should not be a place where every book will appeal to every patron," she wrote about what an elementary school library should be. "It is not a place where only a narrow view of the world is to be found. Parents should be actively interested and involved in the books their children read. Parents have every right to request that their children avoid or actively seek out individual titles. Parents shouldn't expect to make that choice for other people's children."